A yarn swift is a handy tool if you need to wind a number of skeins or hanks into balls. There are a number of different styles of swift. Some look like an umbrella when open, whilst some have a set of arms lying flat on a base. Yarn swifts can be made of metal, plastic or wood, but the wooden ones are the most durable and and lovely to look at even when not in use. 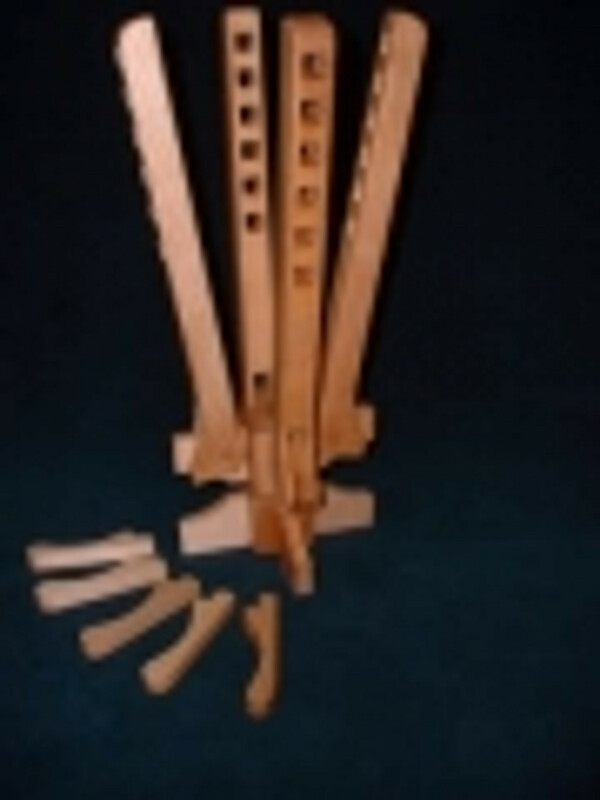 A yarn swift can be clamped to a table (if an umbrella design) or placed on a flat surface. The skein of yarn is place on the arms of the swift (the arms are normally adjustable to enable different sizes of skeins to be used), which turns as you create a ball of yarn.